Includes the names: Susan Lynn Peterson Ph. D.
Between the five of them, her books have been translated into five languages. Her Timeline Charts of the Western Church earned a Gold Medallion Book award nomination. She has also contributed to several national magazines including Black Belt, New Body, Complete Woman, and Fighting Woman News. Susan Lynn Peterson holds an MA in Linguistics, and MA in Religion, and a Ph.D. in the Humanities, Text Theory. She has been a martial artist for more than twenty years and holds a fifth-degree black belt in Okinawan Shuri-ryu karate and a second-degree black belt in traditional Okinawan weapons. She has taught writing, critical thinking, history, and history of Western thought in colleges and universities. These days, when she is not writing, she teaches karate at KoSho Pantano and runs Alcuin Communications, an Internet and print media communications company. She resides with her family in Tucson, Arizona. Susan Lynn Peterson is a LibraryThing Author, an author who lists their personal library on LibraryThing. 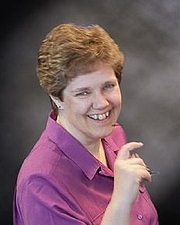 Susan Lynn Peterson is currently considered a "single author." If one or more works are by a distinct, homonymous authors, go ahead and split the author. Susan Lynn Peterson is composed of 2 names. You can examine and separate out names.